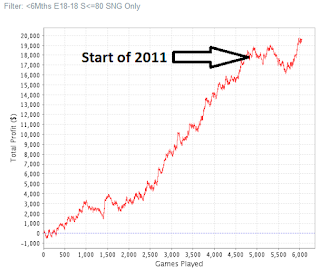 James Atkin's Poker Blog SNE That's more like it! I have had a really good couple of days after that bad start. I feel a lot more confident in my game after doing a bit of study, switching it up a bit, and I seem to be doing well as a result. I also think I was trying to play too many tables the first few days, and pretty much eliminating the $15+1 18-mans over the last couple of days seems like a wise move. For the little bit of rake they add, they command too much attention away from my more important tables. However I'm sure there has been a fair amount of run good as well. I'm coping with the grind fairly well. I have been putting in 7-10 hour days every day since New Years Day. 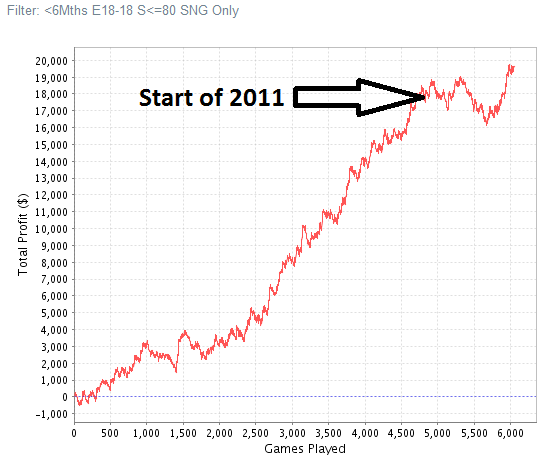 In doing so I have eeked my way ahead of SNE pace, which is going to be important for when I want to take days off. 4 Comments to "That's more like it!" Jonny - yeah I heard that pimpindonks is going for it. Hopefully I'm better than Simakos hehe.